coin could not be weighed as it was sealed in a coin pouch. Obverse description: Left facing crowned bust with Rose behind. Reverse description: Shield quartered by a long cross, date above 1580. 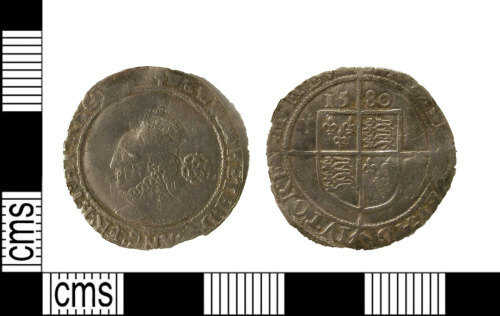 Post medieval silver sixpence of Elizabeth I, London, 1580.